TIGTA's OA Office Locations map is provided in PDF format which requires a special plugin. To obtain the free reader for this format, please visit the Adobe web site. 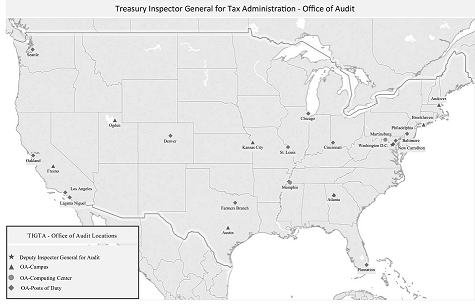 Click on the thumbnail below to view the full-size Office of Audit locations map.